A very early lithographic card, published by Gobindram Oodeyram, likely printed in India. 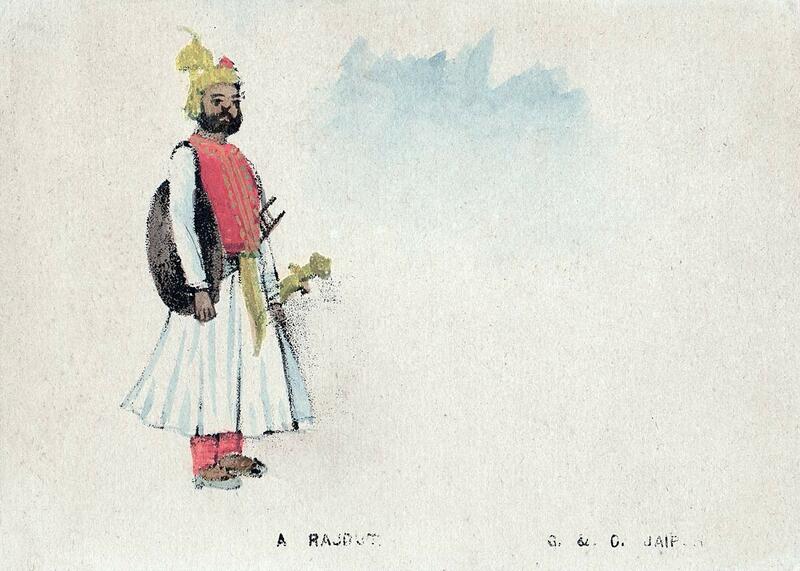 These court-sized cards are very rare but show how quickly an Indian studio and publisher even far from major cities like Bombay and Calcutta, where early postcards go back to 1897-98 and were printed abroad or at the German-run Ravi Varma Press. Soon after these early lithographic cards Gobindram Oodeyram moved into black and white collotype cards printed abroad, some of which were hand-tinted most likely at their studio.